HawtDawgGaming — I wrote a helper application. if you would look at it, it would be greatly appreciated. So I tried migrating my account and that didn't work. I had to buy a new one. The username is MJ_1121. Can you update the new account so that I still have my rank, claims, suncoins, etc? I have no reason to play on my old account anymore so you can ban it, as you would anyway. 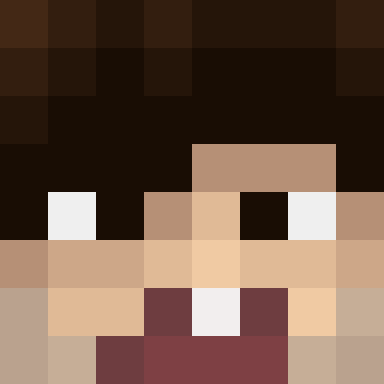 I'm planning on migrating my old minecraft account (mjohnson1229) to a new account. However, I need you help with a few things. 1) Can you transfer my Mercurii rank over to this new account once I make it? 2) Is there a way you can transfer over my claims under the mjohnson1229 account to this new account? 3) Can you transfer my Suncoins and Sunpoints over to this new account? Broizz — Ello Wazoomie I Have Nice Xp Farm For Anyone But I Need you To Make A [Warp] For That If U Want To See it Go to Mcdaily Now..
Hey Sr0reo. @CannonFoddr manages all warps, you should contact him. BasicPanda — Hallo Wazoomie met xRazorPvP, ik wou een rank kopen(Martis Rank).Maar ik heb alleen iDeal, zou u het rekeningnummer willen geven zodat ik het kan overmaken? Alvast bedankt! isek — I really appreciate all the work you do for this server! It has been a home for me for awhile and it wouldn't be the same or possible with anyone but you! i have done all the tasks for the lunae rank, just wondering when i get the rank? Delgore62 — Hey Waz, I know you will have your hands full trying to fix things so no big hurry on my end. My claim at 3424, 3127 was hit good by the Cannon boo boo :). At first I thought I had been griefed till I read his post. If that claim could be set back to about 8:00a CST or about 16 hours before this posting then I think it would be ok.
Until then I'll read chats and help when needed. isek — If you were a fruit. You'd be a FINEapple. MomoBear — Happy Birthday wazzie! :DD Thanks for everything you do!